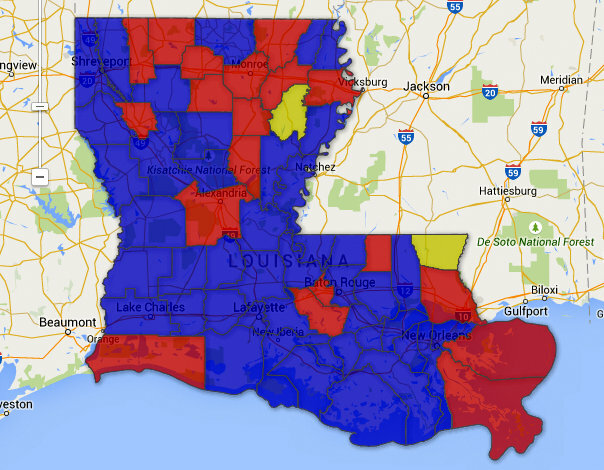 Louisiana Marriage Map - Joe.My.God. If a parish is shaded blue, that means The Advocate has confirmed it’s issuing licenses. If a parish is shaded yellow (or green-ish on some devices/screens), that means The Advocate hasn’t reached anyone at the parish for comment. If a parish is shaded red, that means the clerk has confirmed to The Advocate that it isn’t issuing licenses.